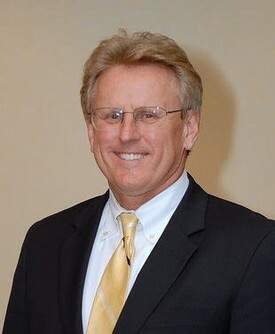 Dr. Thomas is a native of Central Florida and received his dental degree from the University of Florida. He did his general practice residency in dentistry in Gainesville, Florida at Shands Hospital and the V.A. Hospital. Dr. Thomas is a Fellow of the Academy of General Dentistry and is a member of the American Dental Association and Dental Society of Greater Orlando. He is a member of the Florida Academy of Dental Practice Administration. Presently, Dr. Thomas is President-elect for the Florida Academy of General Dentistry, the organization that only represents general dentistry in the state of Florida. He is the past president of Central Florida's Component of the Academy of General Dentistry and is a peer reviewer for the Dental Society of Greater Orlando. Dr. Thomas has extensive training in family, cosmetic and reconstructive dentistry. He places special emphasis on maintenance of his patients dental health with regular dental hygiene and restorative care. Dr. Thomas enjoys community involvement and has been a baseball coach, teacher and mentor for various local programs. He cherishes time with his family and feels that service to others is our purpose in life. 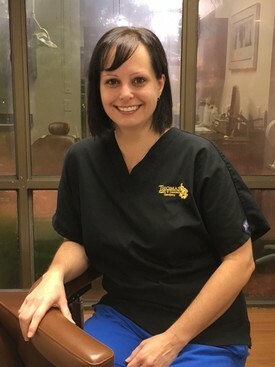 I am a Dental Hygiene graduate of Pensacola State College and have been practicing for over 20 years. I enjoy helping my patients understand the importance of preventing dental disease and contributing to beautiful smiles. I grew up in the Midwest, but have lived in Florida long enough to appreciate warm weather and beautiful sunsets. I have two daughters. Amy graduated from UF and is living in New York City. Carolyn graduated from FSU and is pursuing a masters degree in nutrition. I am a proud mom. In my spare time I travel to the beach, read, cook and cycle. I also enjoy relaxing at home with my cat, Spencer. 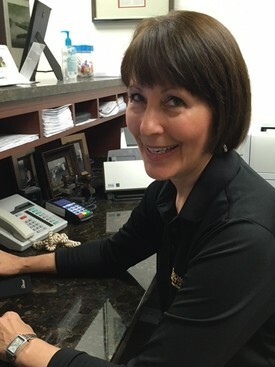 I am the lead dental assistant at our practice and have been working side by side with Dr. Thomas since 2006. I graduated from Americare School of Nursing with an Expanded Functions in dental assisting degree at the top of my class. I love what I do and have a great team of people I work with. Helping the patients understand their dental needs and treatment and seeing the end result is really rewarding. I have lived in Winter Park for over 20 years. I have one son who is currently serving in the United States Army and I am very proud of him. I am an animal lover and have two dogs. In my spare time I enjoy going to the beach, spending time with friends, playing softball and going to country music concerts. Insurance and finances can be confusing. I am here to help you maintain and maximize your insurance benefits. In addition to filing insurance, I help to coordinate your treatment plan and schedule your appointments. I am a Florida native and enjoy our beautiful weather as well as gardening, enjoying my four children, husband, three cats and one dog.